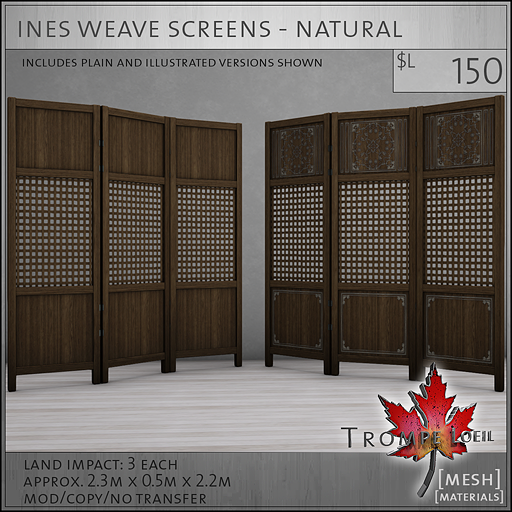 The first of the month is back again, and Trompe Loeil’s FaMESHed round for February includes fun and classy new living room decor that works anywhere in your home – the Ines Living Room Collection! 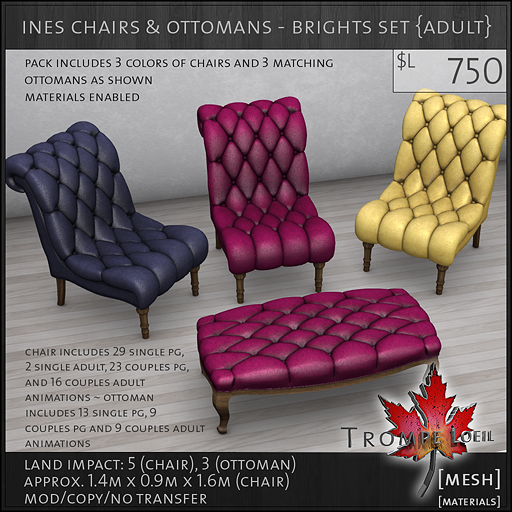 The centerpiece of the Ines Living Room Collection are the beautiful Ines Chairs and Ottomans – utilizing materials for the very best look, we’ve included 3 coordinating colors in each set for stress-free decorating. 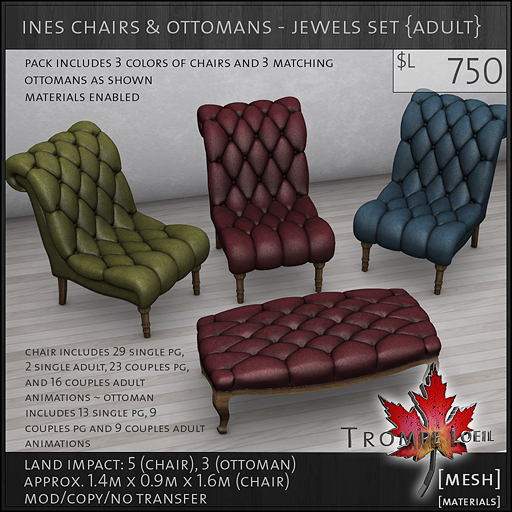 Pick your favorites from the Brights, Nostalgia, Classic, Neutrals and Jewels sets – each set includes three chairs and matching animated ottomans in your choice of PG or Adult maturities. 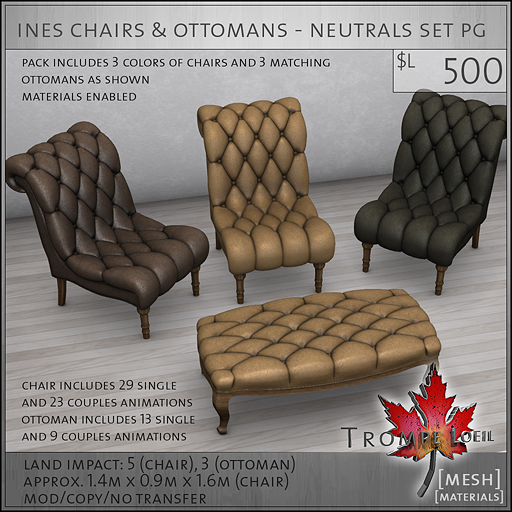 PG chair includes 29 single and 23 couples animations, PG ottoman includes 13 single and 9 couples animations; Adult chair adds an additional 2 single and 16 couples animations and the Adult ottoman adds an additional 9 couples animations. 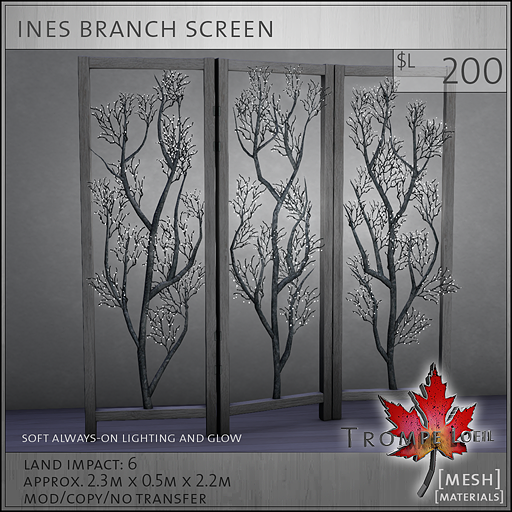 The rest of the Ines Collection features gorgeous screens, tables, shelves and more that you can mix and match – they work wonderfully in any room of your home! 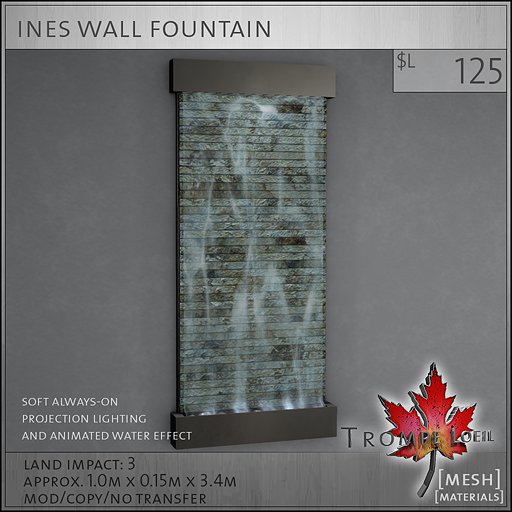 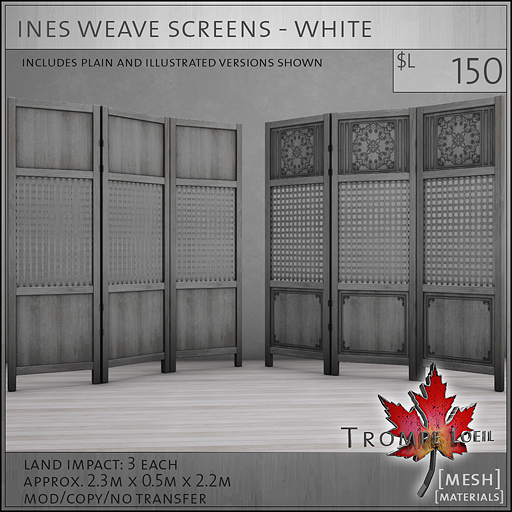 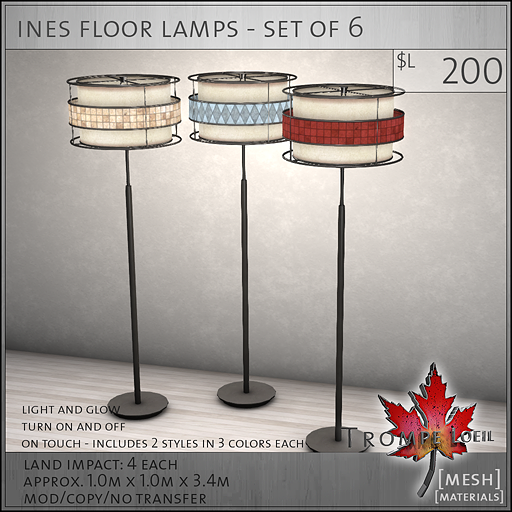 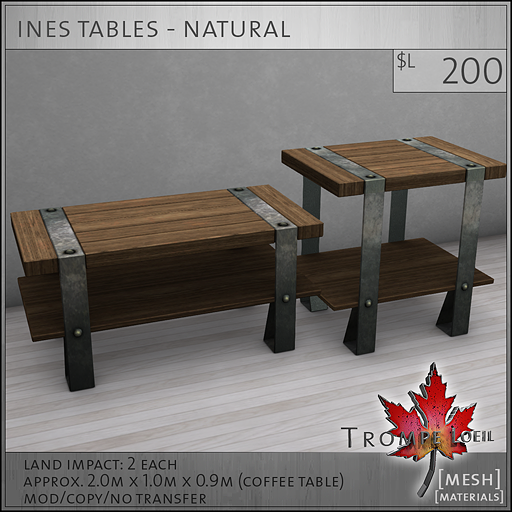 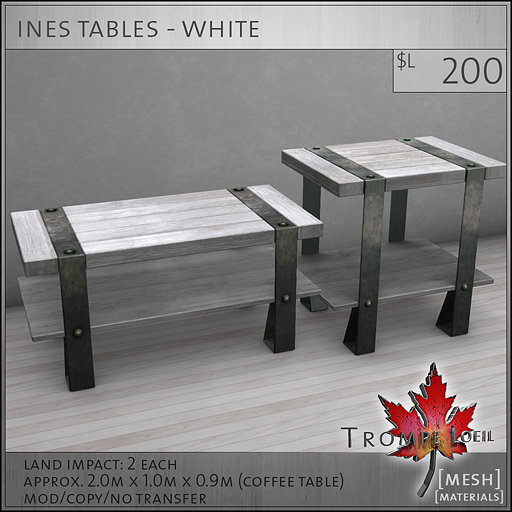 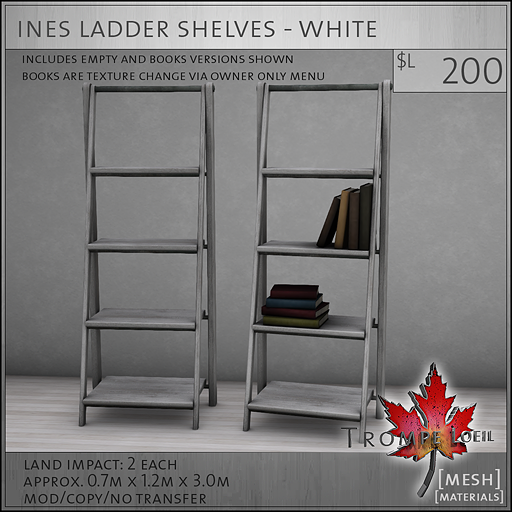 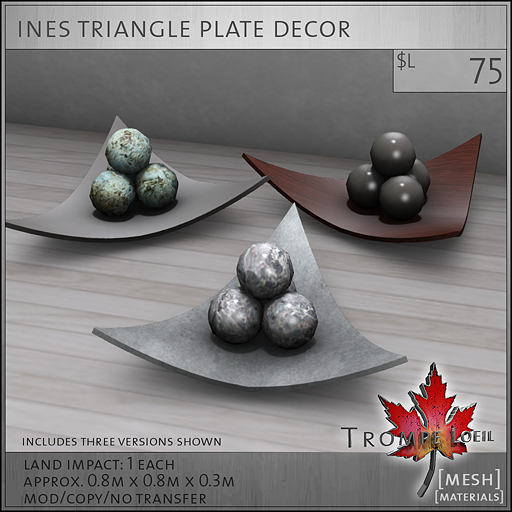 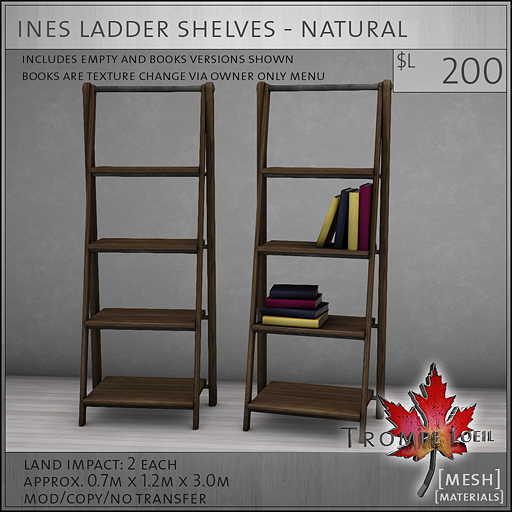 See the entire Ines Collection on display and on sale at FaMESHed all this month!